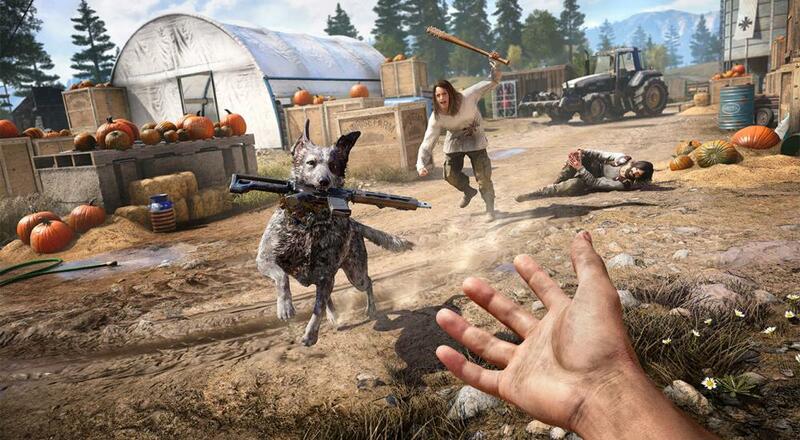 Ubisoft dropped an eight minute guided gameplay video of Far Cry 5 on Monday while everyone was busy definitely not looking at the sun. There's no specific discussion of the campaign co-op in this, but you can at least get an idea of what you and your buddy will be able to do together (like flying a plane or stopping "horse baptisms"). Seriously, they just say "oh, they're doing a horse baptism" like it's a thing. Anyways, Far Cry 5 is out February 27, 2018 for the PC, PlayStation 4, and Xbox One. It will support two player online co-op throughout the campaign.